Rebreathers used to be only for technical diving, but not any more. New Type R (recreational) rebreathers are lightweight, easy-to-transport and have sophisticated electronics to simplify their use. Why dive a rebreather? You get longer no stop limits, reduced gas consumption because you reuse most of your exhaled gas, and unmatched wildlife encounters because you don’t release annoying bubbles. 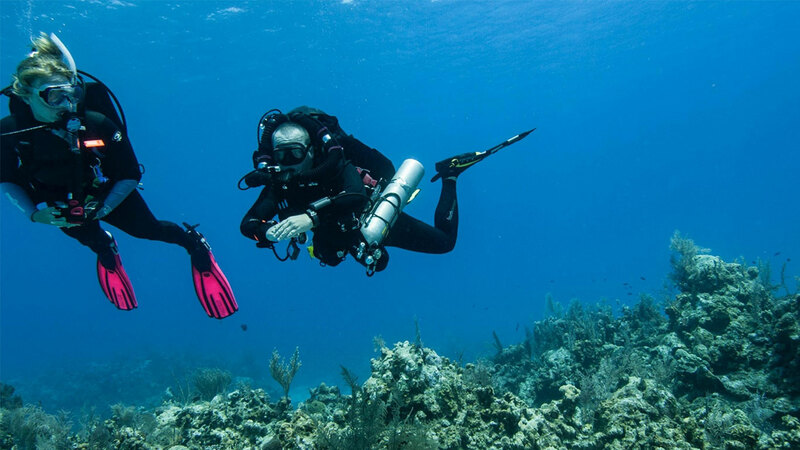 PADI Rebreather and Advanced Rebreather Diver courses use Type R units to introduce divers to rebreather diving within recreational dive limits. Type R rebreathers are electronically controlled and provide a back up for all the major systems and simplify training and use. Will be using the POSEIDON eCCR Discovery MK VI / VII – is the world’s first fully electronic rebreather. It’s a fully­closed, fully ­automated unit that will make you see diving in a different light.